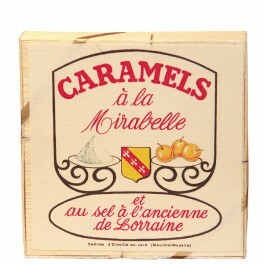 A caramel made with butter, mirabelle plum and Lorraine salt which Duke Ferry would appreciate. According to legend, Duke Ferry received the mirabelle tree as a divine present. He planted them on his lands in Lorraine and harvested its golden fruit that the inhabitants of this region like so much. Since then, jams, eaux de vie, pies and other delights have delighted our taste buds. 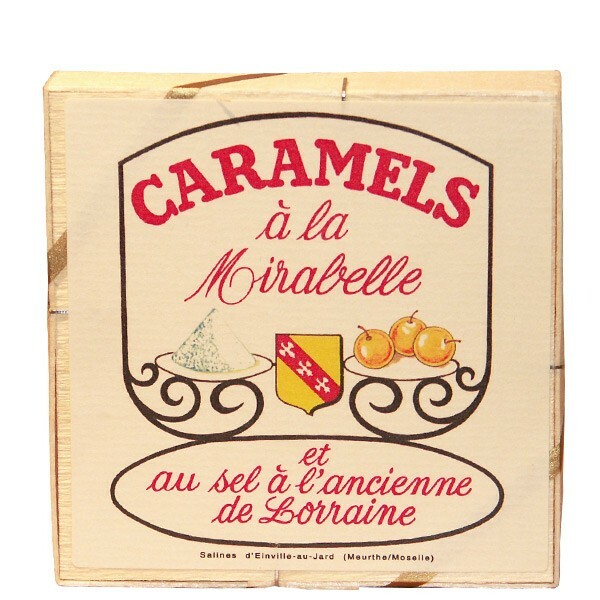 The Duke would be delighted to know that today is a new and surprising treat: a Caramel made with butter, mirabelle plum and Lorraine salt!